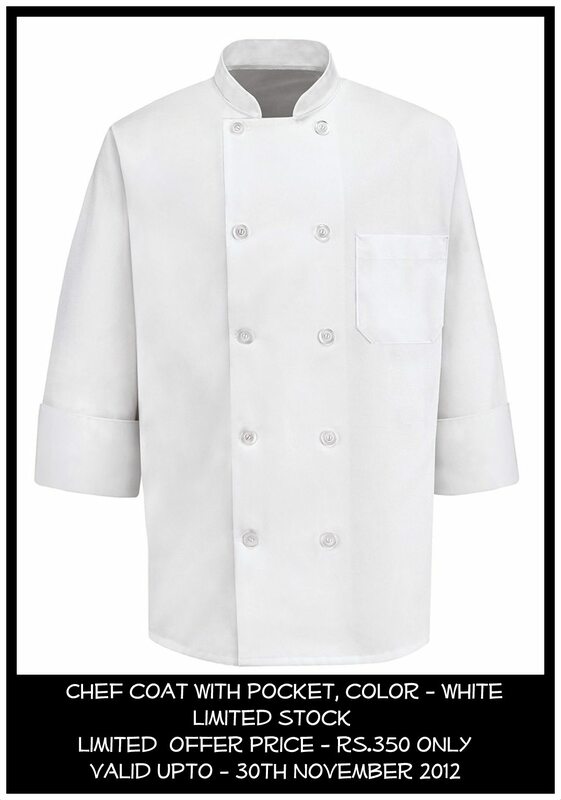 Here is a limited period offer for Chennai customers – Chef coats made from 100 % Drill cloth in white color with front pocket. Idle for use in Catering college for Catering companies and Hotel Management trainees. This offer is valid up to 30th November 2012. This offer is for promotional purpose only the actual rate for Chef coat is Rs.600. Our Offer price is Rs.350.00. Available in three sizes 38, 40 and 42. Call us at 9176 634 635 for further inquiries or fill up the form at http://www.chennaiuniforms.com contact us section to evoke immediate response.